As you may know, September 19th marks the point when the moon appears largest in the sky (even if Neal DeGrasse Tyson says that it doesn’t）. In China, this is celebrated with a three day weekend (sort of), and a lot of moon-gazing, mooncake eating, and family togetherness. Adrianna and I didn’t really do any of these things, but we did have a bunch of fun, and I’d like to tell you about it. 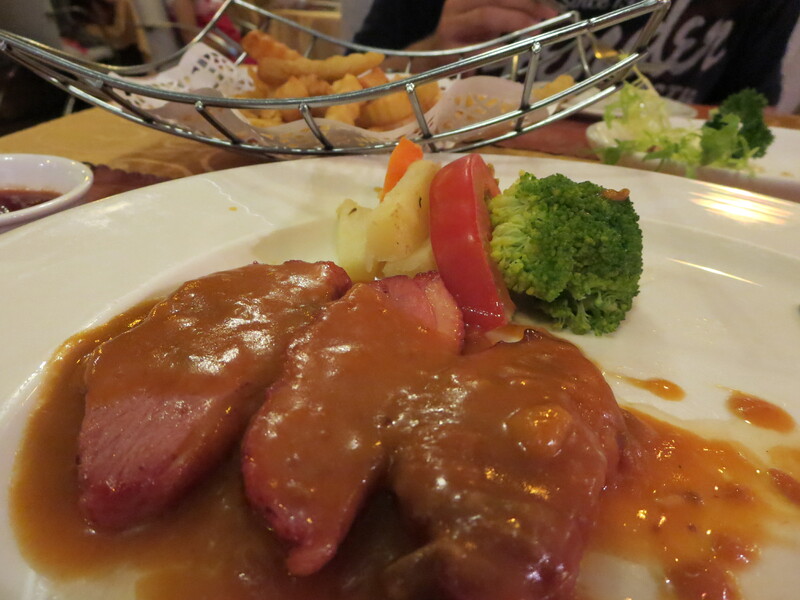 First, we went to a restaurant called Raindrops Cafe for dinner. This place serves Western food, and because of this, caters to foreigners. It was a little on the expensive side, but I think we still made it out of dinner while spending less than $30 USD for the two of us. All told, not a bad deal. 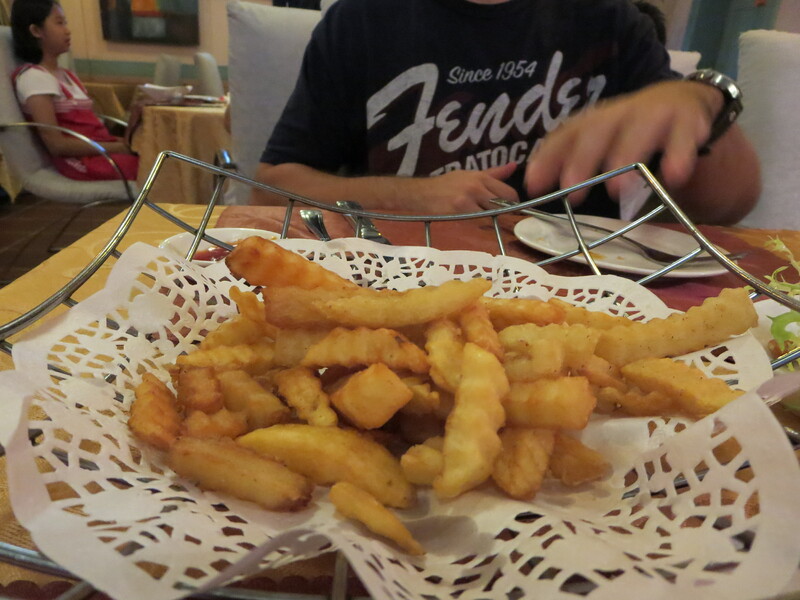 The food was a little schizophrenic, with dishes ranging from American to Spanish to Thai, but they definitely make some awesome French Fries. 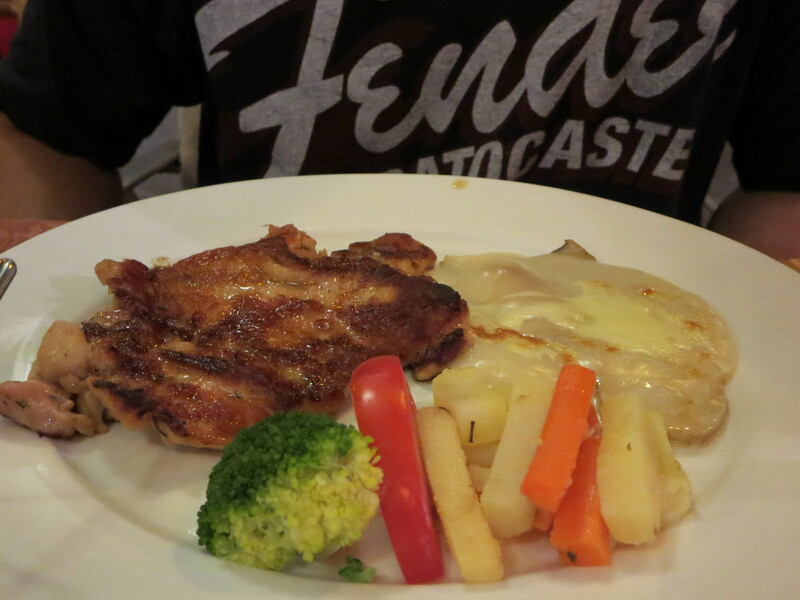 and I had some chicken (it was a little awesome). After dinner, we quickly snagged some ice cream at a KFC. Why you may ask? Because we deserve it, that’s why. We quickly finished the ice cream, and hopped on a bus back home. 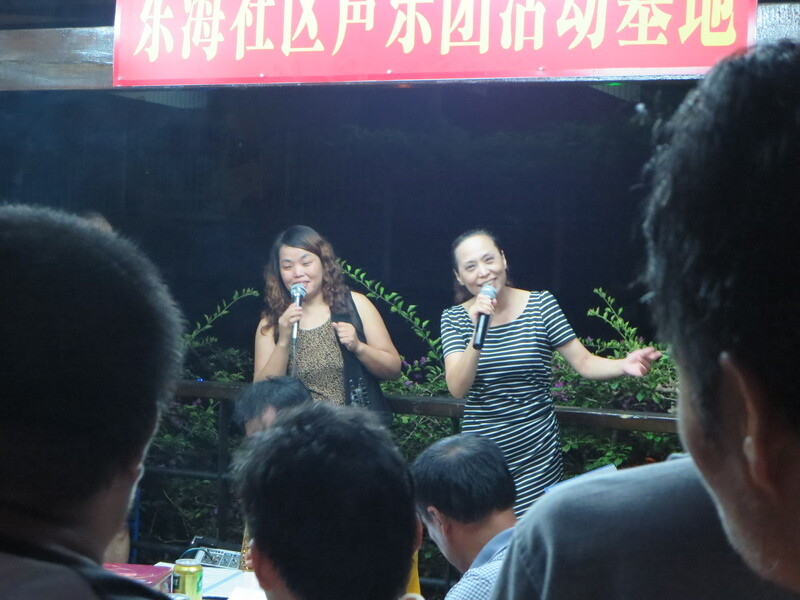 We were nearing home when we saw something happening along a canal that runs through our section of Shenzhen. Abandoning the bus and throwing caution to the wind, we walked down along the canal and saw an unexpected sight. Lots of Chinese people (children, adults, whole families) were lighting the famous “floating candle bags” (I really have no idea what they’re actually called). You’d think this would be a huge fire hazard, but so far no disasters. So it seems to actually be generally pretty safe! It was really beautiful, and as the night went on the sky was filled with a light dotting of these beautiful, man-made stars. It’s hard to see them in pictures, but really cool in person. Oh, and there were also a couple of bands playing traditional Chinese music (at least, I presume it was traditional, I’m not exactly hip to Chinese pop culture). Eventually, we returned home, enlightened as to some of the Chinese traditions occurring around mid-Autumn Festival. But wait, before I let you go I have to explain something I mentioned in the first paragraph. Our school was closed on Thursday and Friday. Sounds like a four day weekend, right? WRONG! We are teaching Friday’s classes on Sunday to make up for the last time, and we’re also teaching Monday’s classes on next Saturday (I’m not sure why we’re doing this, it probably has something to do with the week long national holiday coming up in early October. If we get our passports back in time, we may be adventuring all over the place!). So just remember that any time you get a “day off” in China, it’s likely that you’ll have to make it up later. I think we would call this the autumn equinox in the United States – where the length of daylight and darkness are the same. Sounds like fun. Learn to make some of those floaty paper (?) things. Wow, your pictures are fantastic! 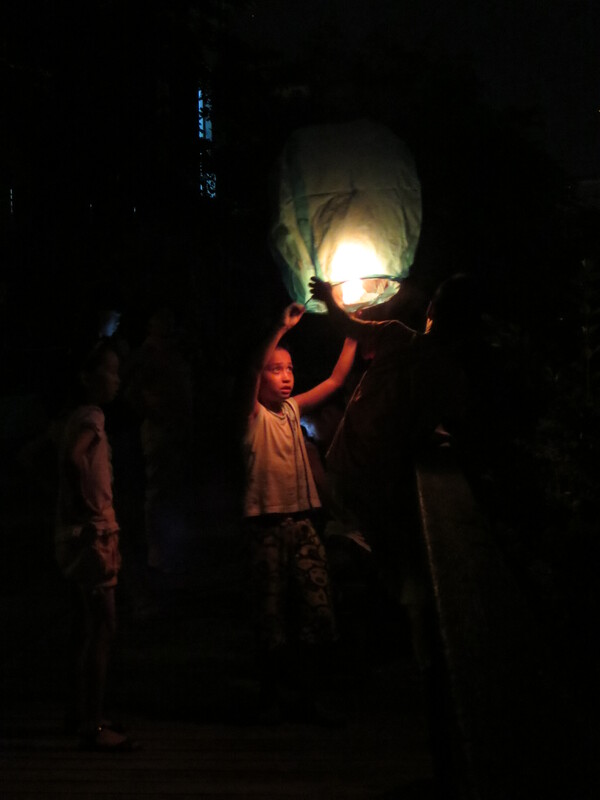 I especially like the one of the children lighting the lanterns/balloons. 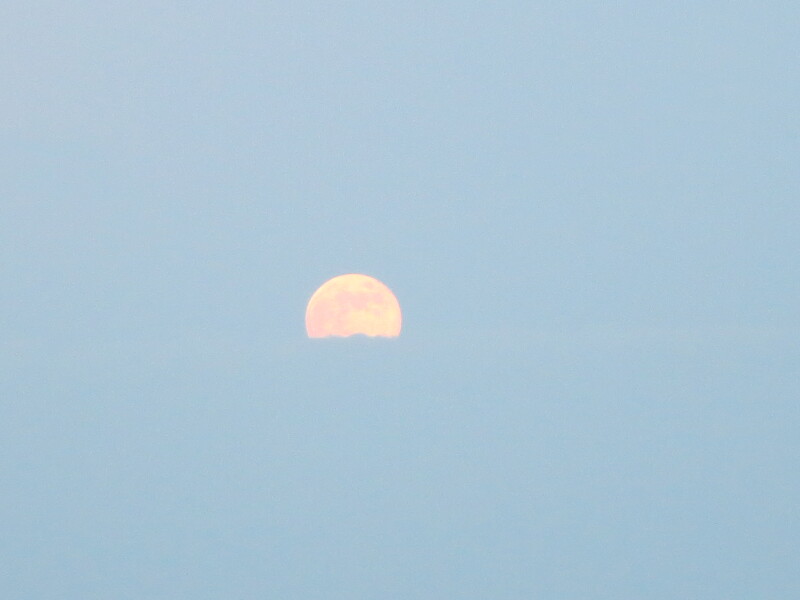 You MUST track down and eat a moon cake while reciting poetry under the moon! At least that’s what this guide book says. Ha ha! We tried to buy one, but it was the only one in the store without a price tag, so the lady at the register just kept it. It’s okay though, we tried some really good mooncakes at a fancy restaurant a few weeks ago. I like the one with the egg inside.